UNICEF’s increasing involvement in climate change. Other UN groups have worked on this for decades, but the connection with children is a new approach. Thanks to all the excellent work by Country Offices, #ClimateChain has gathered hundreds of powerful images of children standing boldly in front of the environment they want to protect. #ClimateChain was launched on World Water Day; that week, UNICEF received 236 million potential impressions on social media. We now leverage this effort for this week’s historic signing of the Paris Climate Agreement at the UN. On Friday, 22 April, world leaders are to convene at the General Assembly Hall to sign the environmental accord – a record 197 countries pledging their commitment to reduce greenhouse gas emissions and start adapting for the effects of climate change. UNICEF is working to make sure children are front and center of this occasion. As the leaders gather, they will be greeted by children forming a live Climate Chain, with screens showing images of children around the world forming the Climate Chain. Getrude Clement, a UNICEF Digital Youth Mapper, will speak during the opening ceremony, sharing her experience in Tanzania and urging the leaders to uphold their commitments. After the final speaker, 197 children will flood the aisles of the GA Hall in a key moment to make a powerful statement about climate action. Wearing T-shirts which say “your promise, our future,” the children will reach their arms out in a Climate Chain, as images of children from around the world in a virtual chain are also shown on screens. We invite you to post your photos and join the Climate Chain this week, before Friday. By SARA MALM and ALLAN HALL FOR MAILONLINE, 20 April 2016 ISIS terrorists are planning nuclear and chemical attacks on Britain and Europe, international security chiefs have warned. Both Nato and the EU say there are ‘justified concerns’ that ISIS jihadists are working on obtaining chemical, biological, radioactive and nuclear materials to carry out attacks on the EU. Speaking at the Security and Counter Terror Expo in London this week, senior counter terrorism officials warned of ISIS’s plans to carry out chemical attacks. ‘With CBRN [chemical, biological, radioactive and nuclear materials], there is a justified concern.’ Jorge Berto Silva, deputy head of counter terrorism for the European Commission said according to The Telegraph. Pressure rises on EDF board over Hinkley Point nuclear plant, FT.com, 19 Apr 16, Michael Stothard in Paris A group of managers at French utility EDF have sent a letter to its board of directors warning they could all face legal action if the company pushes ahead with its contentious Hinkley Point C nuclear project in the UK. 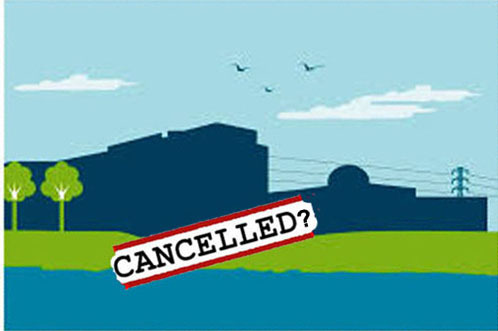 The letter, dated April 19 and seen by the Financial Times, said that if a board decision in favour of Hinkley Point led to the “destruction of the value” at EDF its directors could be held personally responsible………. French president François Hollande is also meeting ministers at the Élysée Palace on Wednesday to discuss financing options for Hinkley Point. The French state has an 85 per cent stake in EDF. The letter by the group of EDF managers highlights the internal battle that has raged within the company over Hinkley Point, with chief financial officer Thomas Piquemal resigning last month because of concerns that the UK project could threaten the company’s future……. EDF’s minority shareholders want French govt to be forced to buy them out. Reuters By Geert De Clercq PARIS, April 19 An EDF employee shareholders group has asked the AMF market regulator to force the French state to buy out the utility’s minority shareholders, in a dispute over its plans to build nuclear plants in Britain. In a letter to the AMF, seen by Reuters on Tuesday, EDF Actionnariat Salarie (EAS) asks the market regulator to consider requiring the state to launch a so-called public withdrawal bid. EAS alleges that the government is abusing its position as a majority shareholder by forcing EDF to go ahead with building nuclear plants in Britain, which EAS says is too risky for EDF and will prevent it from paying dividends in coming years……..
EAS argues that in pushing EDF’s 18 billion pound (22.8 billion euros) project to build two reactors at Hinkley Point, in Britain, the government defends the interests of the country’s nuclear industry rather than those of EDF, at the expense of its minority shareholders……. Hinkley Point is crucial for the survival of reactor builder Areva and France’s many smaller nuclear companies, in an industry that employs about 200,000 people. With three quarters of its power generated by nuclear, France needs no more reactors, and export prospects are limited after the 2011 Fukushima disaster. “While the state only owns 85 percent of EDF’s capital, it behaves as if it is the sole proprietor and uses the company as a lever for its industrial policy,” EAS said. It also said the UK project will prevent EDF from paying a dividend for at least seven years……..
A nuclear leak first spotted five years ago at Washington state’s Hanford Site has got dramatically worse with eight inches of radioactive liquid escaping a protective carbon steel shell. The tank, named AY-102, has two shells, with the inner steel layer containing up to one million gallons of the deadly waste, and the outer concrete one providing a two-foot-wide gap to collect the waste if the inner shell broke. Former Hanford worker Mike Geffre was the first to spot the leak in AY-102’s inner shell in 2011, but it took the government a year to actually announce what had happened. Back then, the small leak only allowed a slow flow of radioactive waste into the gap between the shells, or ‘annulus’. That liquid which would quickly dry up into a white powder. 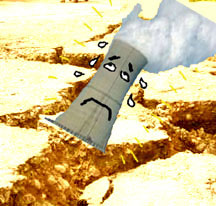 But after five years, they discovered on Sunday that the crack had got worse. The Hanford Site was a major Second World War and Cold War nuclear site; it provided plutonium for the first atomic bomb. It now houses millions of gallons of nuclear waste – two-thirds of all high-level radioactive waste in America in 2007 – and cleanup on the site has been ongoing since 1989. As well as AY-102, six single-shell tanks were noted to be leaking in 2013. Ironically, the original cracks in AY-102 appear to have been further widened by government efforts to pump waste out of the tank, sources told KGW. Pumping began three weeks ago, after Washington state spent three years petitioning the federal government, which owns the tanks, to deal with the damaged structure. But the change in pressure appears to have ‘blown out’ the weakened wall, causing the increased leak and bringing the waste closer to the nearby Columbia River. workers at the plant told KGW that despite claims the breach was ‘anticipated,’ they had not been made aware that something like this could occur. And Geffre said that he was frustrated that his warnings in 2011 hadn’t been acted on for an entire year. ‘It’s an example of a culture at Hanford of “We don’t have problems here. We’re doing just fine.” Which is a total lie,’ he said. Construction on the Hanford site began in 1943, and it went on to house the world’s first full-scale plutonium production reactor, and to provide plutonium for the first atomic bomb. After the Cold War ended, the site housed 53 million gallons of high-level radioactive waste and 25 million cubic feet of solid radioactive waste. Depleted uranium used by NATO during bombing of Serbia takes its toll http://inserbia.info/today/2016/03/depleted-uranium-used-by-nato-during-bombing-of-serbia-takes-its-toll/ By InSerbia with agencies -Mar 29, 2016 BELGRADE – The use of depleted uranium during NATO bombing of Serbia has caused long-term damage to Serbia and the Serbian people. Because every year we have an increase in the number of cancer cases by 25 percent over the previous year. Figures in the case of patients in Kosovska Mitrovica support this fact, as in 2011 here were registered 185 of them, the following year, 225 and in 2013 – 250. 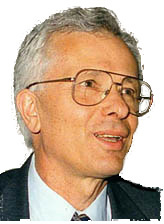 Therefore, the gloomy forecasts, imposed back in 2002, that the use of depleted uranium during the aggression of Western military alliance against FRY will cause an epidemic of malignant diseases, turned out to be accurate, said dr. Nebojsa Srbljak for Serbian daily “Vecernje Novosti”. Dr Srbljak, a cardiologist at the ZTC in Kosovska Mitrovica and founder of the NGO “Angel of Mercy” which deals with data on the number of patients with malignancy in Kosovo, explained for the daily that “those who used the depleted uranium had to know what consequences it causes”. He said that the study of his organization, which cover the period of two years before and two years after the bombing, clearly shows that the number of patients with malignant diseases is caused by radioactivity, and not stress and other bad life habits. Dr. Srbljak urges the authorities that our country formally request compensation, not only for material damage but also because of the increase in the number of patients with malignant diseases. The cardiologist claims that someone was trying to minimize the information he and his team published back in 2002 that the number of patients with malignant diseases was increased by almost 200 percent compared to the period before the bombing. Minister admits lights would stay on even if Hinkley nuclear plant is delayed Guardian, Damian Carrington, 19 Apr 16 UK energy secretary admits for the first time that any delays or cancellations to new nuclear reactors would not compromise national energy supply. The UK’s energy secretary has admitted for the first time that the lights would stay on if new nuclear reactors at Hinkley were cancelled or delayed. Amber Rudd has previously said that “energy security has to be the number one priority” and that new gas and nuclear power would be “central to our energy-secure future”. She also said that delays to the troubled plant could risk the UK missing its targets to cut carbon emissions, and that alternatives could cost more but would not represent a “significant increase” in cost in the short term. Angus MacNeil, chair of the energy and climate change committee, said: “[Rudd’s] letter shows the government has had to finally concede the need for a Plan B on Hinkley, although the detail is sketchy. New capacity must be brought online in a way that is compatible with our decarbonisation targets. That means limiting the role of fossil fuels and maximising the use of smarter low carbon options to meet demand.”…….. US ‘plays with fire’ dragging feet in reducing nuclear arsenals – Ex-IAEA head to RT 19 Apr, 2016 Nearly 20,000 warheads owned by big powers with “sparks flying” between them are more risky than “dirty bombs” in hands of terrorist organizations, Hans Blix and Lassina Zerbo, reputed international experts on nuclear security, told RT. Hans Blix, a renowned Swedish diplomat who led the UN’s International Atomic Energy Agency for more than 16 years, and headed the monitoring mission sent to Iraq in search of alleged weapons of mass destruction prior to the 2003 Iraq War, has described the biggest threats posed by nuclear weapons to RT in an exclusive interview. Recalling the end of the Cold War, which was marked by massive disarmament efforts between the USSR and US, Blix said it was “the great time” that resulted in several milestone agreements banning nuclear tests and chemical weapons. 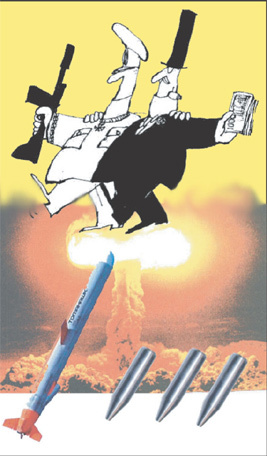 Twenty years after the Comprehensive Nuclear-Test-Ban Treaty (CTBT) was adopted by the UN in 1996, which urges all countries to abandon nuclear detonations for both military and civilian purposes,“the atmosphere in the world became chilly,” Blix said, warning that major powers have once again entered a phase of pumping large sums of money into rearmament. Despite Washington’s countless promises to ratify the CTBT, last year Moscow accused the US of taking “no practical steps” in that direction, consequently preventing the important agreement from entering into force. World’s Largest Floating Solar Farm to Provide 10 Million People with Clean Water, Luminary Daily, By Gary Joshua Garrison / 20 March 2016 The solar farm will span 57,500 square meters (or about eight soccer stadiums) of the Queen Elizabeth II reservoir and will consist of 23,000 solar panels, covering about a tenth of the reservoir. It is slated to be completed by the end of March. Utility company Thames Water runs the reservoir, while Lightsource Renewable Energy — a private solar energy company based in London — is responsible for the funding and operation of the revolutionary farm. Similar floating solar farms are under construction, or have already been completed, both in England and around the world. Recently, a 45,500 square meter solar farm opened in Greater Manchester, England and water company United Utilities, also in Manchester, is currently constructing a similar project that will have about half the capacity of the Thames Water project. In Japan, solar company Kyocera is in the process of building an 180,000 square meter floating solar farm (see featured image at the top) that is set to be completed in 2018. Despite assurances, quakes prompt calls to switch off Japan’s nuclear reactors, Japan Times, BY ERIC JOHNSTON STAFF WRITER 19 Apr 16, OSAKA – Despite official assurances of no abnormalities at nuclear power plants in Kyushu and nearby areas after a series of earthquakes rocked the region, calls in and outside of Japan are growing to shut down the nation’s only two operating reactors at the Sendai plant in Kagoshima Prefecture. with continued quakes and aftershocks, fears are growing about what the constant shaking could mean in terms of cumulative damage that could result in a nuclear crisis. Nuclear costs in uncharted territory http://www.eco-business.com/news/nuclear-costs-in-uncharted-territory/ As some governments press on with new nuclear installations to address climate change, a multi-billion dollar industry will be needed to make safe old power plants and their hazardous waste. Climate News Network 19 April 2016 If you want a job for life, go into the nuclear industry – not building power plants, but taking them down and making them safe, along with highly-radioactive spent fuel and other hazardous waste involved. The UK, one of the countries with the largest nuclear waste problem, is also currently spending most money trying to make it safe. One site alone − Sellafieldin Cumbria, northwest England − is spending £2 billion a year on cleaning up its waste and expects the total bill to be around £50 billion. It is probably because the UK is spending so much money already that theNuclear Decommissioning Conference for Europe is being held in the northern England city of Manchester on May 31 to June 1. All the major nuclear companies in Europe, and many international businesses hoping to cash in on this new industry, will be attending. Revolutionary: Germany Builds A Solar City That Produces Four Times More Energy Than It Consumes http://thelogicalindian.com/environment/germanys-revolutionary-solar-city-that-produces-four-times-more-energy-than-it-consumes/ – Abhishek Mittal 14 Apr 16, We have known cities to be great power-guzzlers, having a huge appetite for consuming electricity to power its homes and buildings. To generate electricity for such cities through renewable sources like solar becomes a difficult task given the vast amount of area required to place the solar panels. But a city in the heart of Germany has achieved something more incredible. It not only has made itself self-sufficient in energy, but in fact has become a net producer of energy – all thanks to a localized approach for adopting solar power. The success of solar as an alternative to the polluting coal-fired power is not limited to these twin-cities. The entire area of Freiburg has been leading the country into a solar revolution since a long time. It was once on the crossroads of choosing between solar and nuclear as the preferred alternative source. Infact a nuclear power plant had already begun construction near Freiburg in early 1970s, amid protests from students and farmers who saw nuclear as a dangerous and polluting source of energy. A major change in mindset of the local population came when an engineer Dieter Seifried started an institute to research into alternative forms of energy and popularized solar as a safe, reliable and efficient source. Seifried said regarding nuclear power in an interview to CBC news, “you will see first that it is not clean at all, second that it is expensive and third that we have a lot of unsolved problems like where do we deposit the waste.” Gradually more and more residents started to install rooftop solar panels on their houses and ditched the conventional power from grid. In 2000, Germany tabled a clean energy bill that forced power-companies to pay a set fee called a feed-in tariff to anybody providing power to the grid. This gave an impetus to the efforts of Seifried and others, and today, 30% of Germany’s electricity comes from renewable sources, mainly wind and solar. The nuclear plant being built in Freiburg was shut down soon after the protests, and after the unfortunate Fukushima meltdown in Japan in 2011, Germany has committed to phase out all 17 of its nuclear reactors by 2022. The examples of Freiburg and the solar cities show how people themselves can own up the process of transitioning from conventional methods of energy generation to cleaner alternatives. The role of government in incentivizing renewable energy and providing access to technology is also very important. The Logical Indian gives a big thumbs-up to the residents of Freiburg for kickstarting the solar revolution in their country, and hopes that similar initiatives are taken up by people across the world. NRA to issue nuclear plant info every day amid quake concerns, Japan Times 19 Apr 16 KYODO The Nuclear Regulation Authority said Tuesday it will begin providing information every day on the safety of four nuclear plants located around the region hit by the series of earthquakes that started last week. The only two commercial reactors currently operating in Japan are at the Sendai complex in Kagoshima Prefecture. The facility is operated by Kyushu Electric Power Co.
Until now, the NRA has not provided such information to the public unless an earthquake measuring at least lower 5 on the Japanese intensity scale of 7 is registered in the location of a nuclear plant, even when a strong earthquake occurs in a neighboring area. When the quake hit Kumamoto on Thursday night, the NRA did not provide any information about the safety of the four plants until Friday morning. The slow response prompted the government to instruct the NRA to improve its information disclosure. Under the new rules, when an earthquake measuring lower 5 or higher is recorded in Kyushu, the NRA will also provide information immediately with data about the nuclear plants. Nuclear Famine, Independent Australia, 17 April 2016 Daryl Williams discusses a recent scientific report in which the devastating global impacts of a small nuclear conflict, including “nuclear famine”, are outlined. THE COLD WAR is over, the Berlin Wall has fallen, nuclear warhead numbers have declined significantly — so the threat of nuclear catastrophe has passed, right? In fact, things may be more dangerous today than at the height of the Cold War. Computer simulations of the indirect climate effects of even a “small” regional nuclear exchange indicate that the whole world would still be imperiled. A recent 16-page scientific paper, ‘Multidecadal global cooling and unprecedented ozone loss following a ‘regional nuclear conflict‘, by Mills, Toon, Lee-Taylor and Robock, outlines the horrific unexpected consequences. Once you boil down the “science-speak” it paints a bleak picture – via an “Earth system model” which includes atmospheric chemistry, ocean dynamics and interactive sea ice and land components – which we should do everything we can to avoid. Firestorms in India and Pakistan from a “small” regional conflict and nuclear exchange would inject 5 Tg (or one million tonnes) of black carbon (smoke, soot, dust) into the stratosphere which spreads globally. The black carbon heats the stratosphere (by up to an amazing 80 degrees C) and cools the lower atmosphere and surface (by 1.1 degrees C in the first four years, down to 1.6 degrees in the fifth year, slowly rising to 0.25 to 0.5 degrees 20 years later). The colder surface temperatures reduce precipitation by 6% globally for the first five years and still by 4.5% one decade on. Oh, and hundreds of millions of Indians and Pakistanis would be incinerated to death … but let’s concentrate on the long-term climate repercussions……..